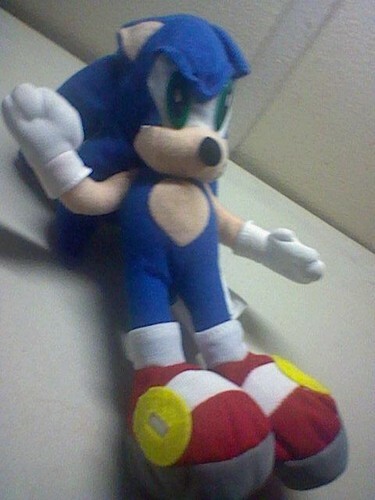 Scariest Sonic Plush EVER. This is probably the scariest Sonic Plush alive.... Wallpaper and background images in the Nhím Sonic club tagged: sonic sega sonic project scariest plush. "LOOK AT THE DISORTED FACE! The eye balls...the...the...THE FACE!!! The little oudgy body ish coote, but the FACE! I got one of him at a county fair. I wanted tails, but the guy gave me sonic when i specifically said, "I want the tails." "Holy gawd- I'd pitch one heckuva FIT..."